This was a charming little read. It got kind of distracting because the narrator, Ida, kept getting off track and got her and Mrs. Kaplan mixed up in the problems of the other residents of Julius and Rebecca Cohen Home for Jewish Seniors. This isn't the first book I have read with a Jewish protagonist, but it is the first that was really authentic. If you are looking for a quick, lite-hearted read, then this is the book for you. 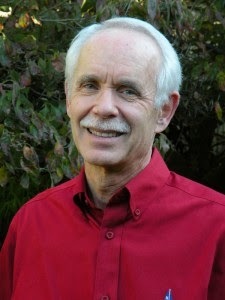 About Mark ReutlingerMark Reutlinger is the author of the novel Made in China and a professor of law emeritus at Seattle University. Born in San Francisco, Mark graduated from UC Berkeley and now lives with his wife, Analee, in University Place, Washington. I am fond of saying that my novels develop as they go, like a living being growing in ways I cannot always predict. Some aspects of a novel are well-planned, while others are as much a surprise to me as they would be to anyone else. My characters within a novel are created in the same way. As I find I need a role filled, I find a character, either in my memory or in my imagination, to fit that role. 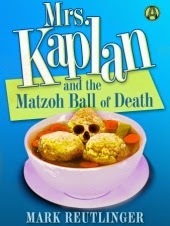 In Mrs. Kaplan and the Matzoh Ball of Death, for example, I knew from the outset that the two principal characters would be older Jewish women living in a retirement home. The two women were definitely patterned after, or more accurately are an amalgam of, many such people I have known in my life, from my and my wife’s grandmothers to the residents of various retirement homes I have had occasion to visit. (My and my wife’s parents spent many years in such facilities.) They are, in other words, drawn from real life, from my memory of people I have known well or been acquainted with. Even their names are from my experience: I believe Mrs. Kaplan was (subconsciously) named after Leo Rosten’s wonderful character Hyman Kaplan, whose exploits my wife’s mother used to read aloud to us, complete with accent. As for Ida Berkowitz, the narrator of the story, I had an aunt named Ida and it just seemed right for her. On the other hand, some of my characters are created from whole cloth, specially designed to fit the role I have planned for them. I have told the story elsewhere of how Linda Chambers, the female protagonist in my political thriller Made in China, came to be co-starred with Jack Conway, the male protagonist: I wrote her in with a minor part and unexpectedly liked her so much I made her a principal character, with traits suited to her new role. Linda is an example of a character who is not patterned after or a composite of anyone I actually know or have met, although she is someone I would like to know. She is beautiful, intelligent, and resourceful, but also a bit silly at times, with a good sense of humor. She has human failings and weaknesses, of course, but on balance she is one of the strongest characters I have come across in my mental dramatis personae. That’s because I created her that way. I think a mix of characters one takes from real life and others wholly a product of one’s imagination makes for interesting and well-rounded fiction. Characters based on real people in a writer’s life can be lovingly described and filled out with ready-made features—physical, mental, and emotional, but too many “familiar” characters might tend to confine a writer to actions and characteristics that in fact define those real people; at least one might be reluctant to assign them roles completely foreign to their models. Wholly fictional characters, on the other hand, give a writer freedom to mold them in whatever way seems best at the time, with no feeling of incongruity. They lack the familiarity and realism of those representing a living person, but that in turn opens them to an infinite variety of descriptions. Linda Chambers, meet Rose Kaplan. I’m confident you two will get along famously.